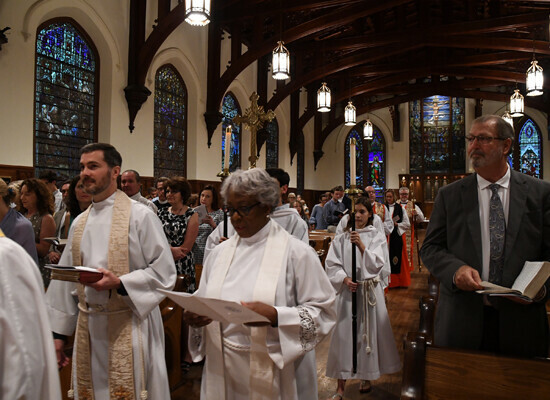 Spirits were not dampened despite the last remnants of Tropical Storm Cindy, as three new deacons were ordained at Christ Church Cathedral, Houston, Saturday, June 23. 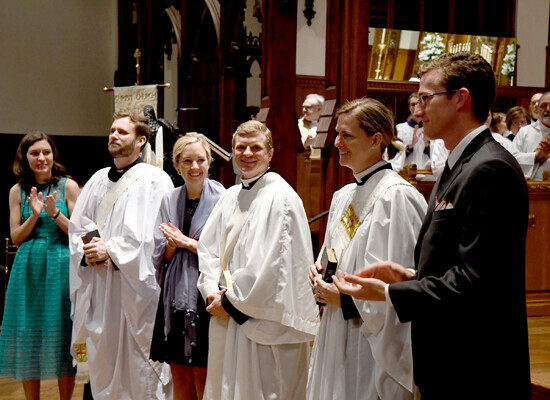 Following a period of time serving as transitional deacons, the Rev. 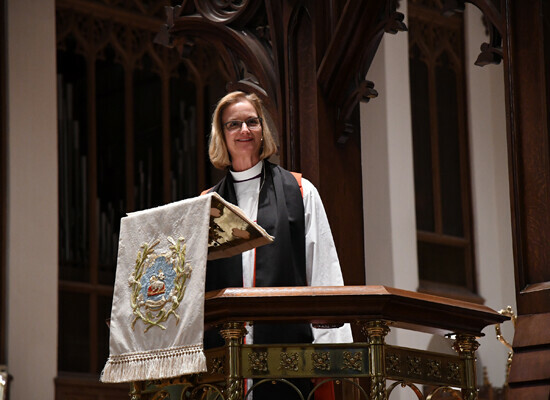 Samantha Gottlich, the Rev. Neal McGowan and the Rev. 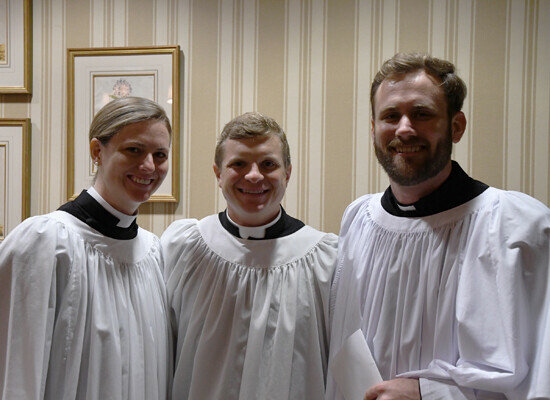 Travis Helms will be ordained priests. 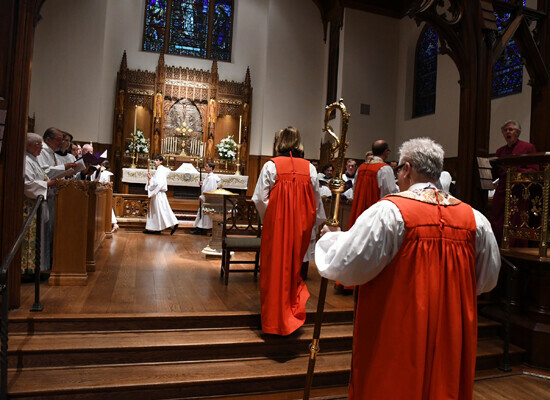 Gottlich will serve at St. Mark’s, Houston; McGowan at St. Alban’s, Waco and Helms at St. Matthew’s, Austin. 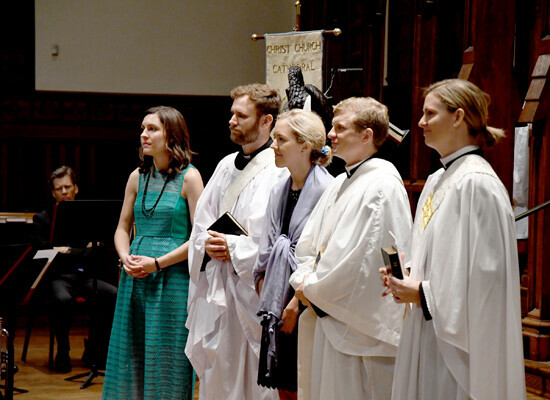 A group of sponsors presented each ordinand to Bishop Andy Doyle and the ordinands declared their belief in the Holy Scriptures as the Word of God and pledged to conform to the doctrine, discipline and worship of The Episcopal Church in response to questions from the Bishop. Each signed a cop of thee declaration before the entire congregation pledged its support of the three. Challenging the new deacons to consider their “location” as well as their new “position,” guest preacher, the Rt. Rev. Mary Gray-Reeves, Bishop of El Camino Real, CA, said, “As you live into ordained life, it’s really important to think less about [your] position and more about [your] location.” She encouraged the new deacons to take the Church’s normal view of “top-down thinking” and to turn it on its side so that the orders (laity, deacons, priests and bishops) are alongside each other.“Unsettle [your] attachment to your position in the church,” she said, adding, “Deacons have a particular calling—to be in two places at one time and attentive to the balance.” Bishops, Gray-Reeves explained, are called to have oversight; priests, too, have oversight locally. 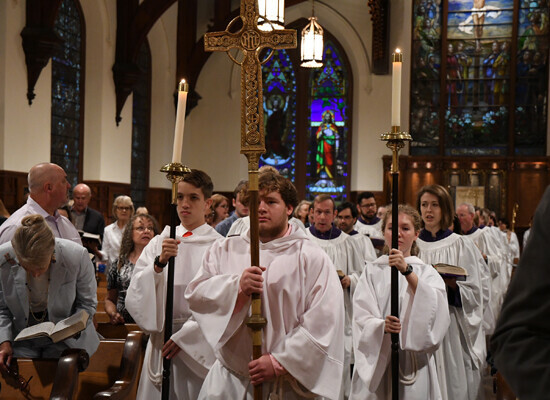 The laity are called to be deployed in daily life, but deacons are called to serve in the Church and in the world in equal balance. 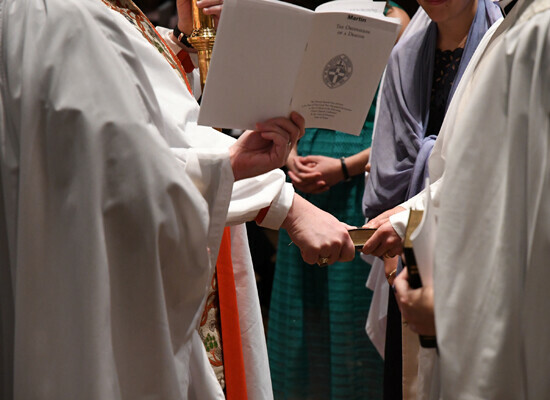 "Unsettle [your] attachment to your position in the church,” she said, adding, “Deacons have a particular calling—to be in two places at one time and attentive to the balance.” Bishops, Gray-Reeves explained, are called to have oversight; priests, too, have oversight locally. 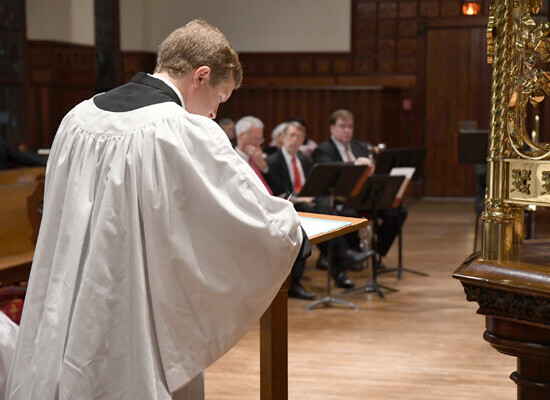 The laity are called to be deployed in daily life, but deacons are called to serve in the Church and in the world in equal balance. Pay attention to the most fragile among us,” she charged them. “Make sure everyone gets fed, especially the ones who can’t get to the altar or feel they are not welcome. Be in the world in the places that are hidden, hard to get to, places no one else will go. 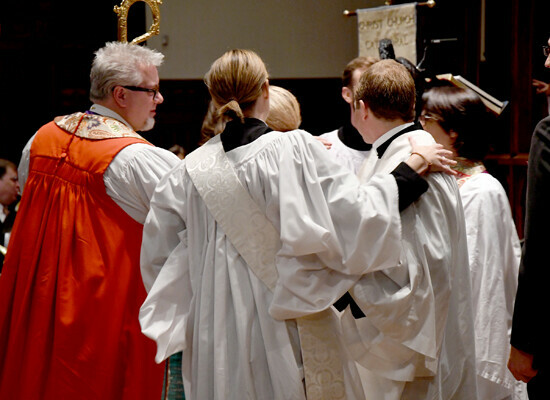 Discipline love for your position and for your location, not just in the season of the diaconate, but as priests and teach us all how to do it. 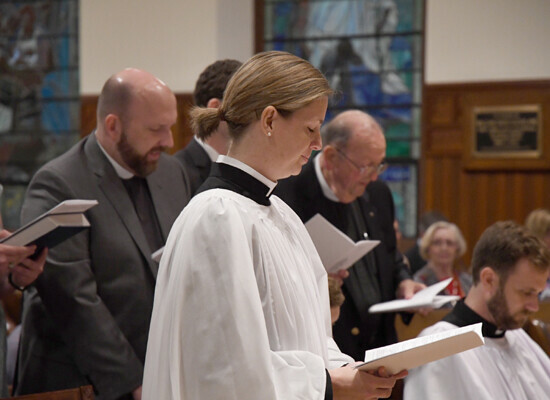 Following the sermon, each candidate to the diaconate answered a series of questions posed by Bishop Doyle during what is known as The Examination. 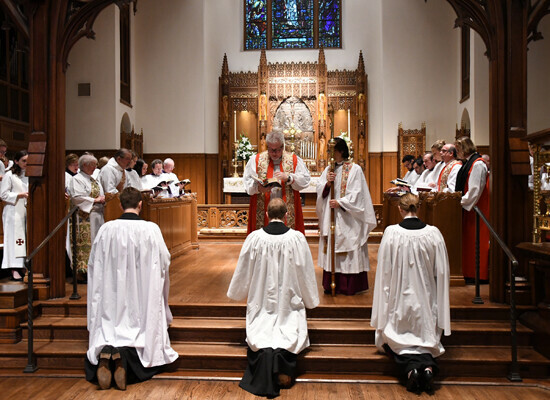 They were asked to follow Christ and model their lives on Scripture, “to interpret to the Church the needs, concerns and hopes of the world.” As each knelt in front of the Bishop, he placed his hands on their heads and recited the Prayer of Consecration. 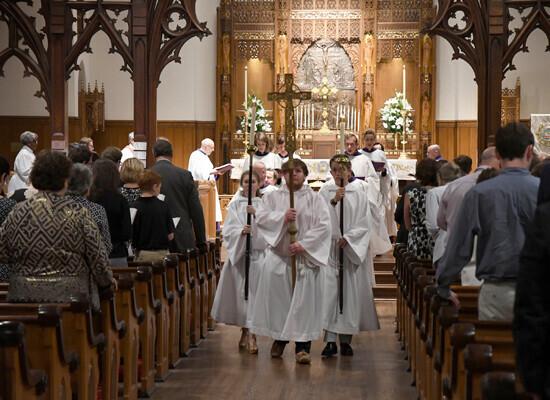 Six additional deacons ordained in other dioceses will also join ministry in the Diocese of Texas as curates. They are: the Rev. 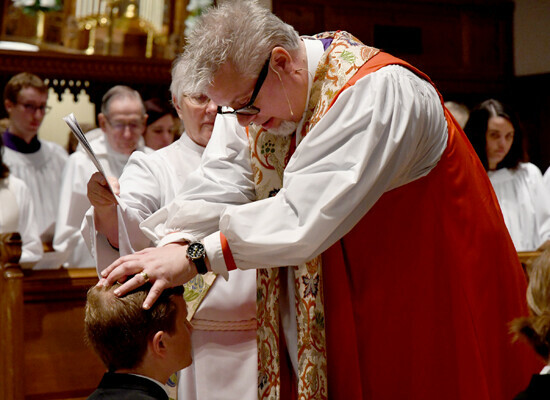 Michael Horvath (Diocese of New York), St. David’s, Austin; the Rev. 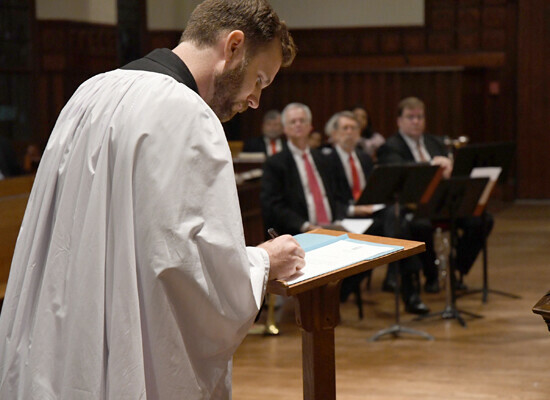 Ryan Mails (Diocese of North Carolina), St. Michael’s and All Angels, Longview; the Rev. Frank Samuelson (Diocese of Central Florida), Trinity, The Woodlands; the Rev. 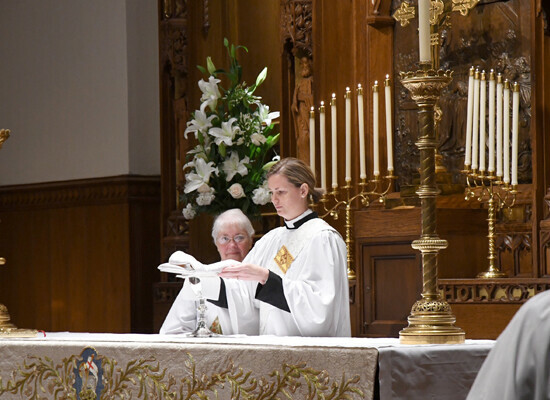 Louise Samuelson (Diocese of Central Florida), St. John the Divine, Houston; the Rev. Matthew Stone (Diocese of Colorado), St. Andrew’s, Bryan and the Rev. 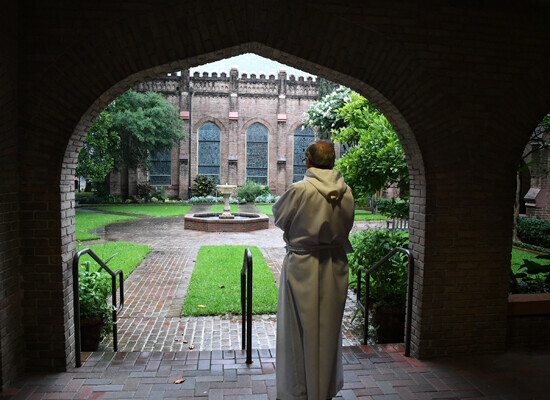 David Wantland (Diocese of North Carolina), Palmer Memorial, Houston. The nine new curates (assistants to the rectors) are supported in part by a grant from the Bishop Quin Foundation.